We provide to our guests 21 single and double rooms and 15 apartments, including 2 luxury apartments – equipped with bathroom parlours overlooking the room, with baths designed by Philippe Starck - a French designing visionary. Every room is different and exceptional. They share the decor in ethno-style, frugal minimalism, raw timber and glass, and very high standard of furnishing. Caring about the top comfort and convenience of our guests, although we are fond of animals, we do not accept any pets to our hotel. 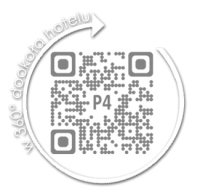 At the same time, we would like to recommend to you hotels for animals near Piwniczna (the closest one is located in Muszyna, 30 km from the hotel). We hope for your understanding. Subscribe to our newsletter, and the record will receive 20 zł discount for every reservation online!